Dental implants are designed to fill in a gap left by a missing or extracted tooth. It’s important to fill in gaps because it can cause your teeth to move which can lead to crookedness and more gaps. Dental implants also have restorative benefits as they provide stability and function to an otherwise compromised smile. If you leave a gap in your mouth this can alter the shape of your face and lead to sacrificed muscular support and in turn premature ageing. A dental implant can maintain your muscles as well as jaw bone density which can also improve the appearance of your jaw. At City Smiles we are committed to providing affordable dental care for our patients. The prices we offer are extremely competitive in comparison to other dental practices. City Smiles have a range of payment options which include our dental payment plans. This allows you to receive the dental treatment you need without having to sacrifice your financial stability. The first step of your surgery will be inserting a titanium dental implant into your jaw bone. This part will act as the root of your new tooth and will later be covered by a dental implant crown. 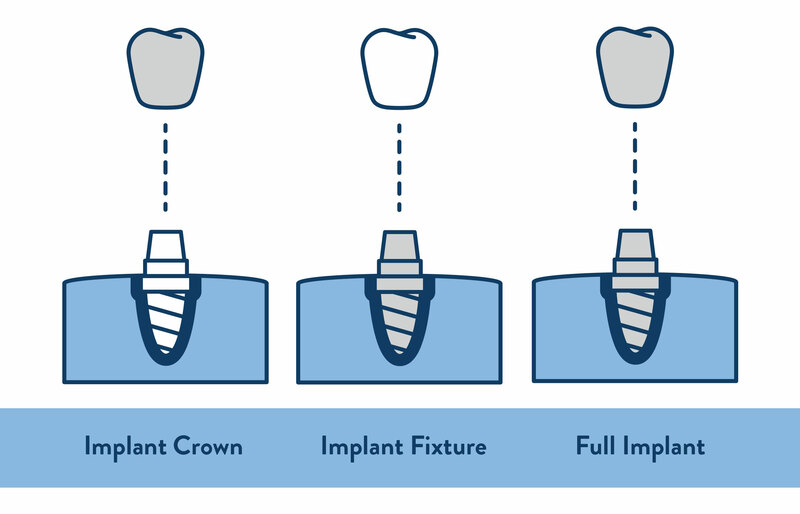 We refer to these two parts as the fixture (implant) and restoration (crown). The fixture will ensure stability and the restoration will ensure a desirable cosmetic appearance. Once the implant is placed into your jawbone, you need to let it heal and bond with the bone; a process known as Osseo-integration. This can take up to around 6 months for it to fully Osseo-integrate and once healed, your implant acts a structural base for your crown; the same as the root of a natural, healthy tooth. You may experience slight discomfort immediately after your implant surgery such as swelling, bruising, pain and minor bleeding around the site of the implant. These symptoms can be easily treated with general medications and antibiotics as prescribed by your oral surgeon. Your diet doesn’t have to change dramatically while the osseo-integration process is taking place however immediately after surgery (up to 14 days) you may be required to eat soft foods such as mashed potato, ice cream, soups and smoothies. If you have suffered tooth loss, dental trauma or decay and want to know how dental implants can restore the function and aesthetics to your oral condition, it is important you book a consultation with City Smile in Melbourne. 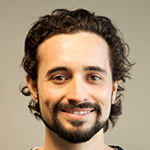 If you are ready to restore the function and aesthetics of your smile contact the friendly team at City Smiles today!